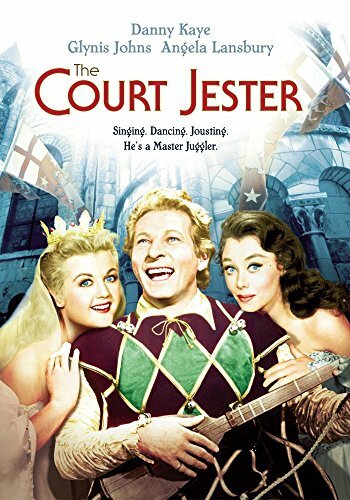 In this swashbuckling comic farce, star Danny Kaye plays kind-hearted entertainer Hawkins who disguises himself as the legendary king of jesters, Giacomo. Hawkins infiltrates the court of the evil villain Basil Rathbone, but when a sorceress hypnotizes him, royal chaos ensues. Giacomo now believes he is also an infamous assassin, and alternates between his identities at the snap of a finger. Between swordplay and wordplay, Danny Kaye displays his fancy footwork… and his comic genius. With a stellar supporting cast, including Glynis Johns, Angela Lansbury and Mildred Natwick, Kaye sings and dances among dueling knights and damsels in distress. one of the original kings of comedy.